Split system installation made easy. 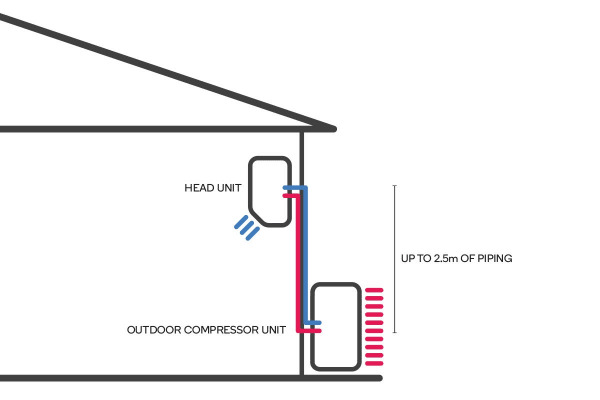 Let us arrange the installation of your split system installation – you won’t have to lift a finger. Organising installation for your new 5.2kW Split System Air Conditioner can be a confusing process. 3. Your installer will visit your home on your preferred date to have your air conditioner running at peak performance! Note: your installer will explain the reasons and requirements for the additional charges (if there are any) before proceeding. The quality of your installation plays a big role in the maximum efficiency, safety and long term reliability of your air conditioner. When you arrange your installation through us, your contract will be with Zwecks Trade Pty Ltd, a licensed contractor, and not with Kogan Australia Pty Ltd. Zwecks will guarantee the services of a licensed installer who specialises in air conditioner installations. Don’t risk your investment with anything less! IMPORTANT: Please allow for 150mm of free wall on the top, left and right side of the unit for smooth installation. Please note: service includes installation only. Split System air conditioner not included. Please make sure you have the relevant approvals from landlord, building owners or strata. Your installer may request this information. This Product is offered and supplied by a 3rd Party pursuant to the Terms and Conditions. 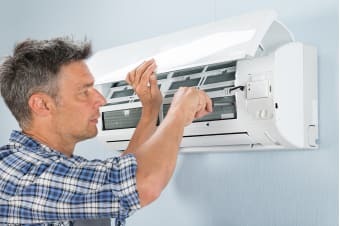 We may refer you to Zwecks for installation, or you can contact Zwecks directly who hold a contractor’s licence or another licensed airconditioning company.